Will 2014 be the year that China finally reins in its dangerous neighbor in Pyongyang? The Asia-Pacific is rife with security challenges—and almost all of them in some way involve the People’s Republic of China. In the East and South China Seas, control of islands and reefs create near daily challenges that show no sign of abating with Beijing asserting itself on the high seas and now in the air, bringing it into possible direct conflict with Washington. Border issues between China and India last year once again showed that the PRC has at least one land-based challenger left to concern herself with. Despite all this, there is one flashpoint that China does have at least some ability to influence directly to the betterment of not only its own raw national interest but all of Asia: the hermit kingdom itself, North Korea. On the surface, 2014 looks like it could be a doozy with North Korea once again creating even more tensions with the same inflammatory outbursts we have heard in previous years. North Korean leader Kim Jong-un remarked in his New Year’s Day speech that if “another war breaks out on this land, it will result in a deadly nuclear catastrophe and the United States will never be safe.” Just wonderful. One would assume Kim is referring to his country’s nuclear and ballistic missile programs. 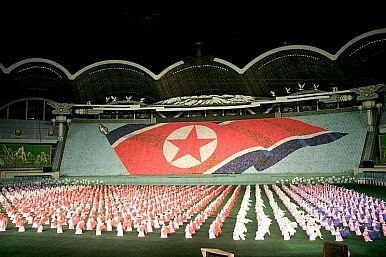 Pyongyang seems to be pursuing the capability to hit the U.S. homeland with a nuclear weapon. While experts disagree on how far along the program currently is, one thing is certain: such a capability would add another dimension of complexity and danger to an already tense situation. Factor in what could be a dangerous year internally as Kim seemingly attempts to solidify his hold on the country, one never knows what instability could come out of Pyongyang to shake up the region. Here is where China comes in. Xi Jinping already has his hands full with Japan and the Senkaku/Diaoyu islands, multiple nations in the South China Sea, tensions with India, and a budding global competition with Washington. Top all that off with an economy that desperately needs reform, and Xi certainly could use stability in at least one Asia-Pacific hotspot. Given that North Korea would have a hard time surviving without its patrons in Beijing— Xi holds most of the cards. So how would Xi persuade his North Korean allies to stay quiet in 2014? I see three possible angles. First, Beijing needs to express privately that dangerous military provocations like sinking South Korean naval vessels or shelling islands will not be tolerated and would result in the total loss of Chinese economic and diplomatic support. Considering the various other flashpoints in the region, Beijing certainly does not want to find itself in conflict with any of its neighbors thanks to what is surely becoming more of a hindrance than a valuable ally. If Kim decides to strike, he is on his own. Another possible way to influence North Korean behavior would be to give Kim incentives to undertake Chinese-style reform in its economy and thereby preoccupy him with domestic matters for the foreseeable future. China undoubtedly has considerable economic resources to help Pyongyang capitalize on its large natural resource wealth as a way to develop at least a small section of its economy. Whether any firms would want to invest in the nation given the bluster that regularly comes out of Pyongyang is another matter, but China could help North Korea set the tone for a Chinese-style transition in the years to come. Finally, North Korea must be made explicitly aware that nuclear weapon and missile tests not only create tremendous tensions but could be the tripwire for a crisis that can only cost lives and treasure. China could provide North Korea with space to test at least its missiles in China, or provide financial incentives to refrain from such actions. Pyongyang could also be rewarded for keeping such research to the lab only. So I know what you are thinking: this amounts to simple bribery in many respects. Yep, it sure is. Considering the international environment China finds itself in—surrounded by tensions with its neighbors that in many respects are of its own making, its only ally needs to be reined in from making matters worse. Unfortunately, insider knowledge of the internal dynamics of China’s relationship with North Korea is limited. Kim could reject such offers knowing he may hold the ultimate trump card: China’s fear of a North Korea collapse with no one controlling its small but deadly nuclear arsenal and millions of refugees seeking to make China their new home. However, if China can find a way, any way, to halt North Korea from repeating its actions of the last few years, I would consider that an investment worth making. Xi Jinping and China-North Korea RelationsUnraveling China-North Korea RelationsIs Kim Jong-Un Headed For China?With Diplomacy on Life Support, North Korea Names and Shames Pompeo, BoltonWith Hanoi in the Rearview, Will Kim Jong Un Turn to Russia?